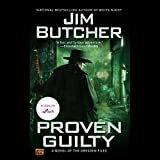 New York Times best-selling Dresden Files series. 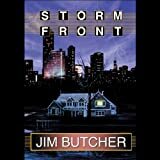 When an unknown someone shoots him and leaves him to die, Harry Dresden hopes he might be heading to a better place. Unfortunately being dead doesn't make Harry's life any easier. Trapped between life and death, he learns that his friends are in serious trouble. Only by finding his murderer can he save his friends and move on - a feat that would be a lot easier if he had a body and access to his powers. Worse still are the malevolent shadows that roam Chicago, controlled by a dark entity that wants Harry to suffer even in death. After being murdered by a mystery assailant, navigating his way through the realm between life and death, and being brought back to the mortal world, Harry realizes that maybe death wasn't all that bad - because he is no longer Harry Dresden, Chicago's only professional wizard. He is now Harry Dresden, Winter Knight to Mab, the Queen of Air and Darkness. After Harry had no choice but to swear his fealty, Mab wasn't about to let something as petty as death steal away the prize she had sought for so long. And now, her word is his command, no matter what she wants him to do, no matter where she wants him to go, and no matter who she wants him to kill. Guess which one Mab wants first? Beset by enemies new and old, Harry must gather his friends and allies, prevent the annihilation of countless innocents, and find a way out of his eternal subservience before his newfound powers claim the only thing he has left to call his own... his soul. 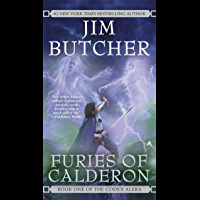 Collects Jim Butcher's The Dresden Files: War Cry #1-5!A war is raging between the vampire forces of the Red Court and the White Council - a war that the wizards are losing. So desperate are the Council that they've dragooned the experienced and the outcast to reinforce their thinning ranks of Wardens. One of these draftees is one Harry Dresden, Chicago's only wizard-for-hire and a guy who's long been looked upon with suspicion by the supernatural authorities. Now, he's one of them, and his first big mission as a Warden is a doozy: take a small team of greenhorns to a frigid town in the middle of nowhere to rescue a handful of mortals who've been targeted by the Red Court. The question is, why exactly are these particular mortals so crucial to the outcome of the war? The answer will come only if Harry can keep them, and his team, alive for one very long night.This graphic novel collects the critically acclaimed five-issue series in one volume, and features a bonus section with Jim Butcher's original story outline, sketchbook artwork from Carlos Gomez, cover gallery with roughs from Stjepan Sejic, and more! When the Chicago Police Department are baffled by cases, they turn to Harry Dresden: private investigator and wizard! 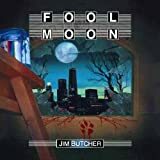 Armed with vast yet unrefined mystic skills, Dresden doggedly pursues every lead in his search for answers, crossing mobsters, renegade sorcerers, otherworldly monsters, and more!This second volume of The Dresden Files Omnibus collects three complete comic book series: "Ghoul Goblin", "War Cry", and "Down Town". 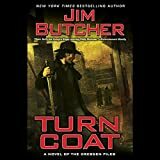 These mind-blowing tales of Harry Dresden are set within official continuity, expanding Jim Butcher's rich universe with adventures never-before-seen in the novels! Die schrecklichste Waffe! Harry Dresden und ein Team unerfahrener Agenten des Weißen Rates auf tödlicher Mission: Eine Gruppe Wissenschaftler wird in einem abgelegenen Haus von Vampiren belagert. Was hüten die Gelehrten in dem Haus, das so schrecklich ist, dass es keinem in die Hände fallen darf? Und warum riskieren die Vampire alles, um es zu bekommen? Jim Butchers Magier-Detektiv Harry Dresden endlich in einem neuen Comic-Abenteuer!